PowerMaster® Premium Nitro Racing Fuel is performance engineered by VP® Racing Fuels, the World Leader in Race Fuel TechnologyTM. With more than 35 years of proven full-scale racing dominance, VP has transformed the time-tested formulation of PowerMaster into a world-class fuel using its world-class facility and nothing less than the best ingredients. PowerMaster is blended to the tightest tolerances possible – tolerances that cannot be matched by other hobby fuel brands. VP Racing Fuels is the Official Fuel of the NHRA, World of Outlaws, American LeMans Series and more. 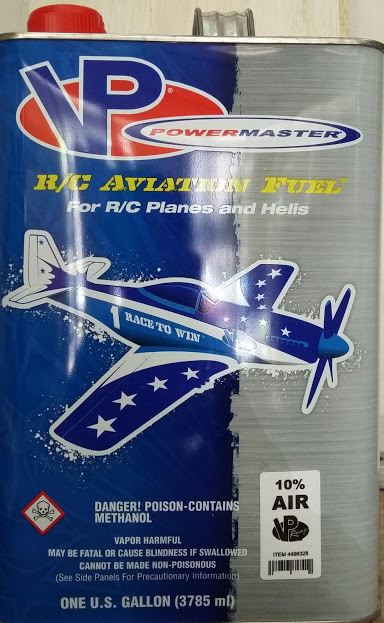 It only makes sense that the world’s best full-scale race fuel manufacturer now produces the world’s best R/C fuel. We want to make sure you have the very best fuel to give you the best chance to win, and that includes the packaging. The container the fuel is stored in is just as important to performance as the quality of the chemicals themselves. What good is it to put a high-performance fuel in a container that delivers anything less than the best standards possible? PowerMaster uses only DOT approved pressure-tested metal cans with an inner lining to prevent corrosion. Even the closure cap is tested to the highest of standards. What you get is the highest quality fuel packaged in a fully sealed can that offers the same performance months down the road as the day you purchased it. Trust the name. Trust PowerMaster.